If you had to name some of your favorite modern toy brands, what would you say? 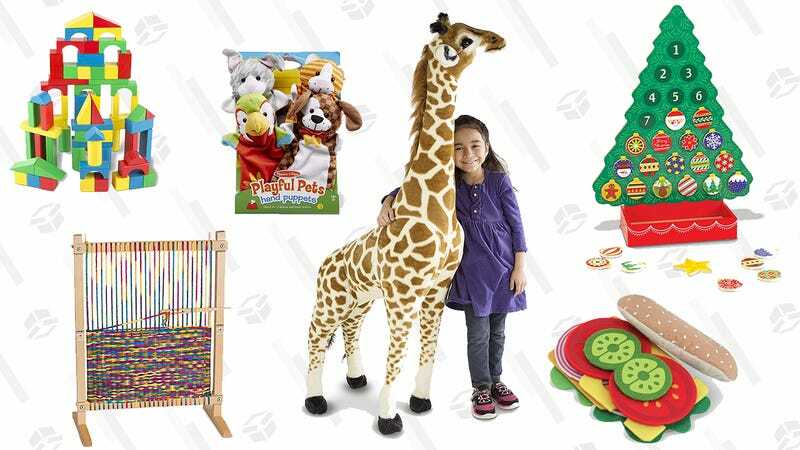 There’s almost a 100% chance that Melissa & Doug would be on the list, so it’s relevant to your interests that, for today only, Amazon has a bunch of Melissa & Doug toys on sale, with prices starting at $6. Most are made with wood and metal (aside from plush toys, because obviously that wouldn’t end well), so you know they’ll hold up to even the roughest play. Now you just have to decide exactly how extra Santa is going to be this year.